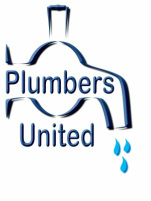 Plumbers United, Inc. is a full service plumbing Company. Our state of the art tools and equipment help us work efficiently to resolve your plumbing issues, saving you both time and money. Our licensed Plumbers and technicians are trained to provide you with the service you expect, ensuring your plumbing job is done properly. Thanks to the support from our customers, we continue to grow with our mission to provide you with excellent services and to continually strive to exceed your ecompany of choice.xpectations. Let us prove that we can earn the privilege of being your plumbing service. What a blessing it was to find Plumbers United!!! In today's economy, I can't afford to waste money on bad decisions or poor performance from a contractor. From the first time I spoke to the owners of the company, I could tell they were honest and took pride in their work and their business. They took the time to explain what was needed and why while also giving me a realist quote. I felt like they had my best interest in mind and couldn't be happier. Copyright 2012 Plumbers United, Inc. All rights reserved.